USING legislation to control the use of FIFO is like "using a sledgehammer to crack a walnut", the Queensland Resources Council boss has told a public hearing. The first of State Government's Strong and Sustainable Resource Communities Bill public hearings was held on Monday in Brisbane, after it was tabled in parliament on November 8 last year. Under the current form of the legislation, resource companies would be forced to consider communities within 100km of a mining project for employment, preventing 100% FIFO operations into the future. In the Bowen Basin BHP Billiton's Daunia and Caval Ridge mines both employ a 100% FIFO workforce. 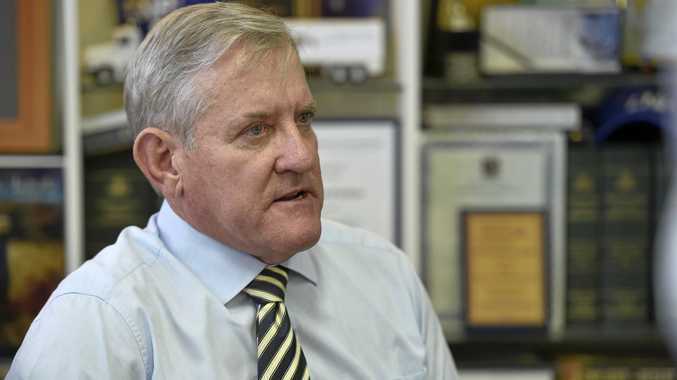 Among those to speak before the hearing was Queensland Resources Council chief executive Ian Macfarlane, who expressed grave concerns about introducing further regulation to an industry that was already one of the most tightly controlled in the country. While he said much of the regulation was needed to protect the environment and community from the impacts of mining projects, he added this bill prescribed workforce arrangements that would limit the flexibility needed to respond to the cyclical nature of business and the commodity market. In it's purest form, he believes the bill is anti-competitive. "Significant investment and business decisions have already been made based on conditions approved by previous governments," he said. "Yet again more changes may lead to lower investment, affect mining, impact jobs and loss of royalties. "If you use a sledgehammer to crack a walnut the losers will be Queenslanders." The CFMEU spoke at the public hearing and also lodged a written submission, which closed to the public on Monday. While it was generally supportive of the bill, it raised concerns that the rule against 100% FIFO would be open to manipulation, pointing out that a company could employ just one local person and still comply with the law. It also said the ruling should be extended to cover not just the operation phase of a mining project, but the construction and decommissioning. The union also raised concerns about mining companies only having to look within a 100km radius for local workers. It suggested widening the radius to 200km, while the Mackay Regional Council suggested 150km in its written submission. Public hearings will continue throughout regional communities this week. On Thursday it will visit Middlemount and Moranbah and on Friday it will come to Mackay. Emerald -February 8: Conference Room, Mayfair Ridge Tavern, 5.30-7.30pm. Middlemount -February 9: Middlemount Hotel, 4 Howard Jones Ave, 9.30-11.30am. Moranbah -February 9: Moranbah Community Workers Club, 49-55 Mills Ave, 2.30-4.30pm. Mackay -February 10: Flinders Room, Mackay Grande Suites, 9 Gregory St, 9-11am. Rockhampton -February 10: Conference Room 1, Empire Apartment Hotel, 5 East St, 2.30pm-4.30pm.